THE PERFECT SPACE-SAVING SOLUTION FOR STUNNING, MASSIVE PROJECTIONS. 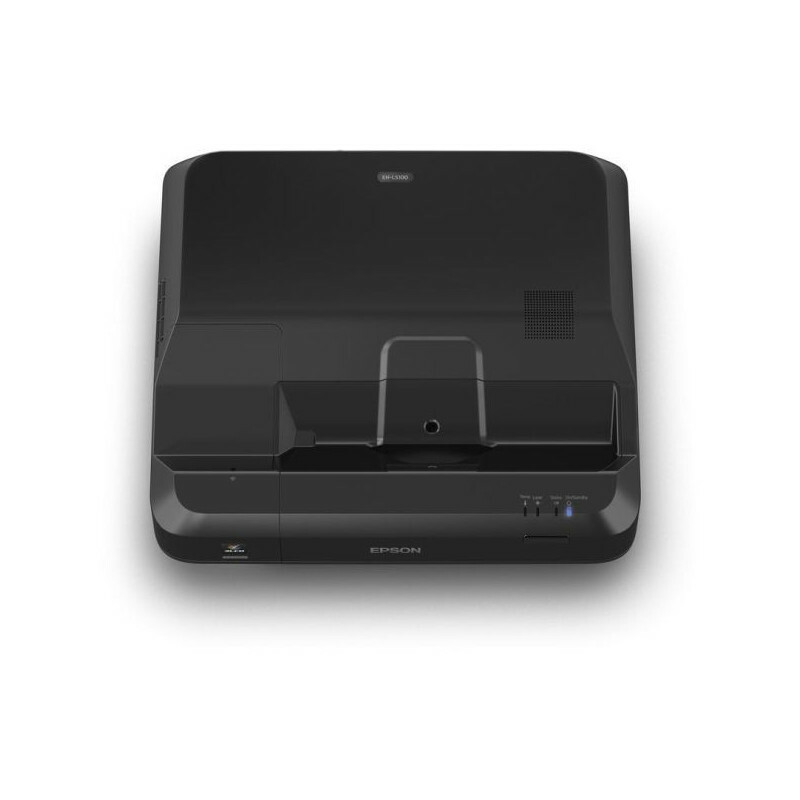 The EH-LS100 revolutionises the way you maximise your home space. With the support of ultra-short throw lens, distance and space are no longer an issue when it comes to perfect projections. No matter where the projector is placed, enjoy clear and breathtaking images with consistent colour uniformity over your entire screen. With an easy and stress-free set up, say goodbye to unsightly cables while enjoying all of your favorite shows. Achieve amazing 100-inch projection with placement of just 26cm away from the wall. Experience the ultimate space availability while admiring massively beautiful projections at home. Specially engineered for user-friendliness and easy management, simply plug in and play to experience absolute relaxation and entertainment. Equipped with laser light technology, the EH-LS100 starts up within 5 seconds, ensuring immediate projections that will cater to your home entertainment needs. Enjoy dynamic audio from the built-in 16W speaker without having to connect to an amplifier or separate speaker. Take home entertainment experience to the next level. Boasting stunning brightness of up to 4,000 lumens and a high contrast ratio of 2,500,000:1, the EH-LS100 enables you to project beautiful, well-defined images regardless of ambient light. Be amazed as sophistication is brought to the texture and resolution of your projected screen. Alongside Detail Enhancement, surface detail is refined for true-to-life images. Choose from an array of colour modes for an optimised viewing experience. Colour modes include Dynamic, Bright Cinema, Cinema and Game. 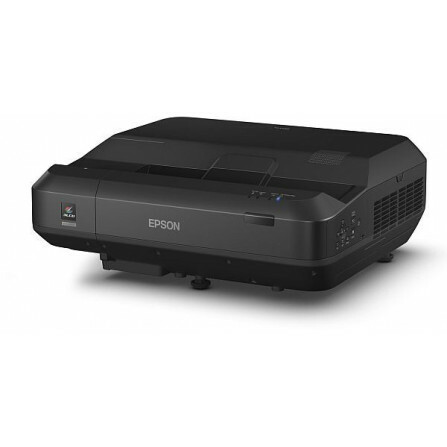 Utilise the Epson EH-LS100 for hours at a time without qualms or worries. 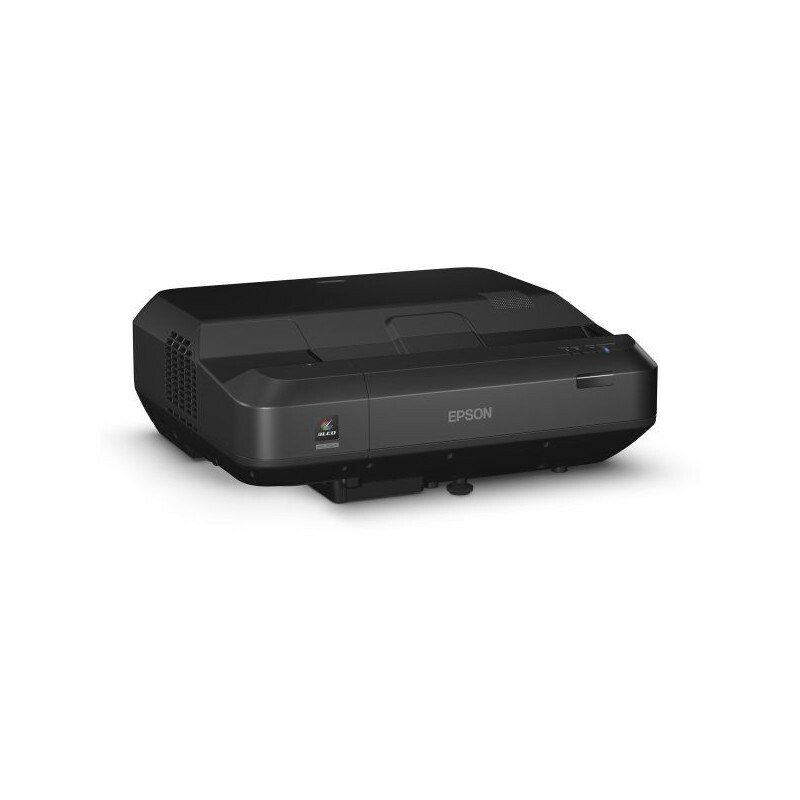 With a long-life laser light source that boasts a lifespan of up to 20,000 hours, this projector delivers TV-like usage hours for your viewing pleasure. To top it all off, through the aid of highspeed contrast controls, bright and dark scenes will always look phenomenal. Made of inorganic material, Epson’s newly developed phosphor wheel offers superior light and heat resistance to deliver excellent reliability. By combining this with our inorganic LCD panels, we create laser projectors that deliver vibrant images for extremely long periods. 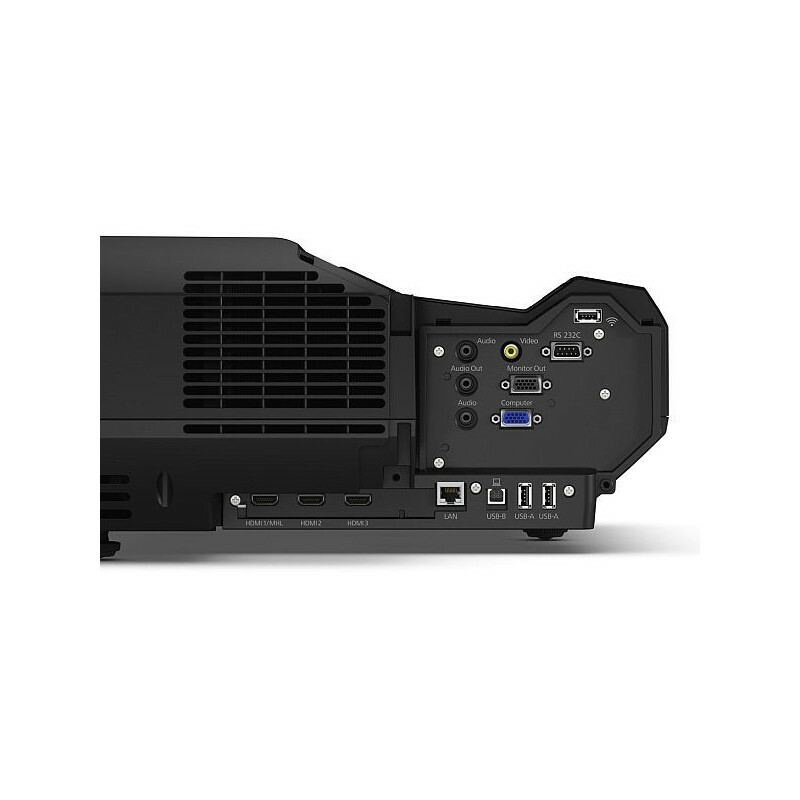 With integrated support for multiple connection methods, including HDMI to suit a wide range of entertainment devices, the EH-LS100 makes home entertainment more accessible than ever. 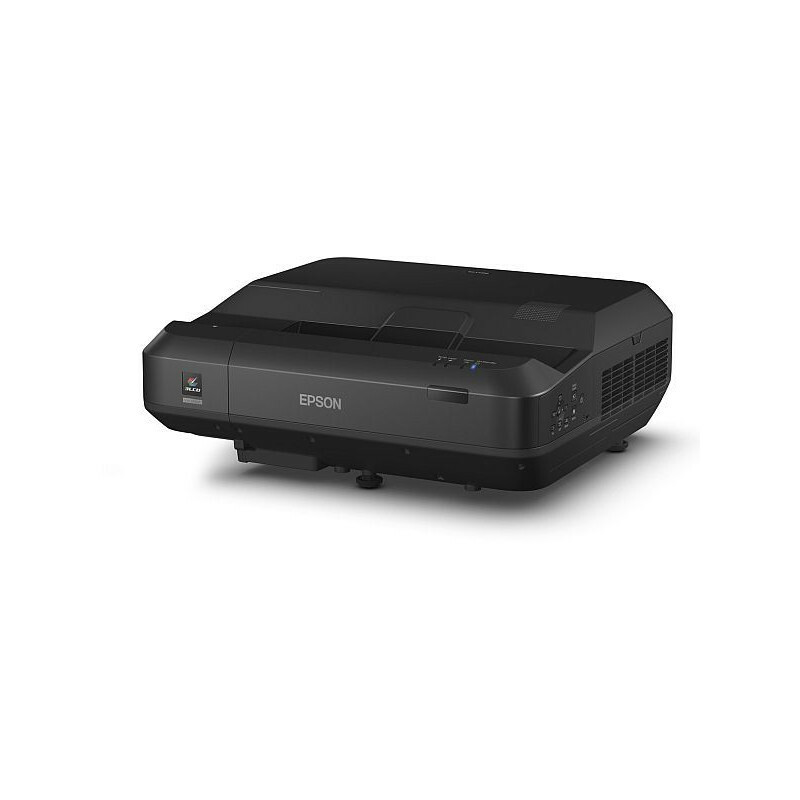 Any AV equipment connected via a HDMI cable can be turned ON/OFF by simply operating the power to the projector. The power for multiple devices can be managed easily with the use of a single remote control. Quick Wireless Connection Key N.A. 3 years or 20,000 hours whichever comes first. Next business day on-site warranty.